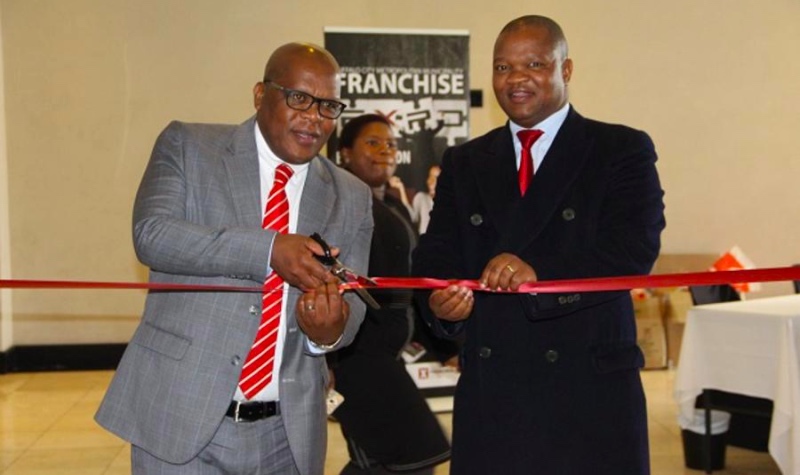 Buffalo City Metro Executive Mayor Xola Pakati officially launched 2017 Franchise Expo to help grow the City’s local economy, empower BCM entrepreneurs and show them how franchising work. The three-day long annual franchise expo kick started on Thursday 16 to 18 November at the East London Convention Centre (ICC). The expo was run to give platform to showcase the existing franchise as well as small business opportunities and the workshop sessions to help citizens of Buffalo City to fully understand how franchising work. Moreover, to attract new investors of the varied business franchises on offer and encourage entrepreneurs to invest in Buffalo City. There are huge benefits available for investors, which in turn will beef up the economy in the city. The annual franchise expo was organized by the BCM’s Local Economic Development Business Unit. At least 75 franchise companies set up stalls at the East London Convention Centre to showcase their products. “The Expo will assist our people to get a better understanding of the Franchising model by offering a credible platform for the showcasing of existing franchise and small business opportunities,” said Pakati. “We are very proud to announce that this initiative has assisted in bringing two new franchisees into the city with Fournew's shortly opening a News Cafe and with an SME that is currently negotiating financing for a Sherpa Kids franchise,” he said. She added that BCM’s expo has been rated number one comparing with other expos taking place in nine provinces. “There are also expertise from the Border Kei Chamber of Business, Black Management Forum (BMF), Maid4U, Business Women Association (BWA) and Black Business Forum (BBF) that attended the franchise to share their skills with BCM entrepreneurs,” she said. Among the people who came to the expo to share their skills was the founder of a recruitment agency called Maid4U, Lindiwe Shibambo who endured challenges as a young woman growing up in Pretoria. Lindiwe motivated and shared her success story with the BCM entrepreneurs and said she took a profound interest to train, develop & recruit individuals who have a passion for au pair & housekeeping. Before Maid4U was established to become a successful agency today.